• Non-existing realm - It has been seen that when a non-existing realm names are being tested, that the first request takes 2-3 seconds, and then all requests thereafter take less than one second. What is believed to be happening here is that the first request is searching for the realm and fails but the search response is cached on the CAS for 30 seconds. Thus, the 2-3 second response is seen every 30 seconds. • Realm exists but username doesn’t exist - A pre-authentication ticket is created to verify the username exists in the realm. The average time of the request can vary depending on resources but the resulting time response is consistent. This could be either approximately 5 seconds or higher. The highest response time seen is approximately 60 seconds. • Realm and username exists - A pre-authentication ticket is created to verify the password. The time in seconds has been seen to take less then 2 seconds but in most cases this response time is under one second. • Non-existing realm - This can be seen in response # 1 and 2. 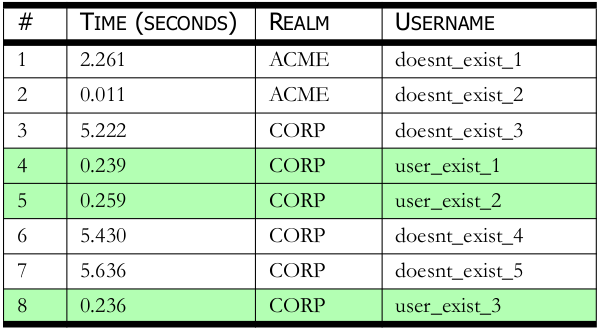 • Realm exists but username doesn’t exist - This can be seen in response # 3, 6, and 7. • Realm and username exists - This can be seen in response # 4, 5, and 8. Autodiscover is a CAS service that is used to configure remote or internal mail clients for use with Exchange systems. Using a compatible mail client, the user can configure their client by providing an email address and password. The mail client goes through a discovery process to locate the remote CAS server hosting the Autodiscover configuration file. The configuration file is hosted on an IIS web server. By default the configuration file path is “/Autodiscover/Autodiscover.xml”. 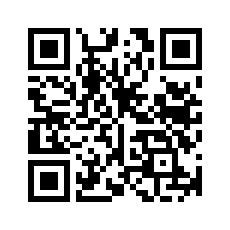 To access the Autodiscover.xml configuration file, an XML SOAP request is sent to the server using an HTTP POST method. Server side application controls require the User-Agent header of the request must represent that of an Outlook client, such as "Microsoft Office/12.0". The body of the SOAP request can be seen in Figure 1. By examining the body of the SOAP request made, it was found that modifying the “EmailAddress” parameter to utilize another existing email address, the user's configuration data can be enumerated. Using a single set of valid credentials, it is possible to inject the “EmailAddress” parameter to discover valid email addresses and gather data about the users and the environment. It was also found that even though valid Active Directory credentials are required to access the Autodiscover.xml file, it is not required to be a valid Exchange account with mailbox permissions. There are many ways to build an email address list that can be used when injecting the “EmailAddress” parameter, such as searching public databases, stripping metadata from published documents, by reviewing SMTP mail headers and services, or even by obtaining wordlists of the top most popular first and last names and creating a list of correctly formatted email addresses to try with this enumeration attack. It has been shown in OWA 2007 and 2010, that it’s possible to reveal the internal IP address of the reverse proxy or gateway processing requests for OWA. Such proxies or gateways include Forefront TMG 2010. This attack can be performed using a web browser. When attempting to trigger ASP.NET debug and making a GET request to the OWA path "/owa/auth/trace.axd". The OWA throws a server side exception with a web server status of 403. The verbose error reveals the internal IP address of the proxy or gateway. Example output can be seen below in Figure 2. An error occurred and your request couldn't be completed. If the problem continues, contact your helpdesk with this HTTP Status code: 403.